“The young French pianist participates in the IX International Classical Music Festival 2016 Clàssica Pianino playing a Pleyel Pianino of 1838, restored by Olivier Fadini with the same characteristics as the one preserved in the cell of F. Chopin and G. Sand. With only 18 years old, Lydie Solomon (1982), of a Korean mother, won her first award at the Conservatoire National Superieur de Musique et de Danse de Paris in the class of Jacques Rouvier. She has released three albums – Harmonie (2009), El Dorado: of Padre Soler à Piazzolla (2011) and From Chopin to Cuba (2014) – and offers concerts in many parts of the world. 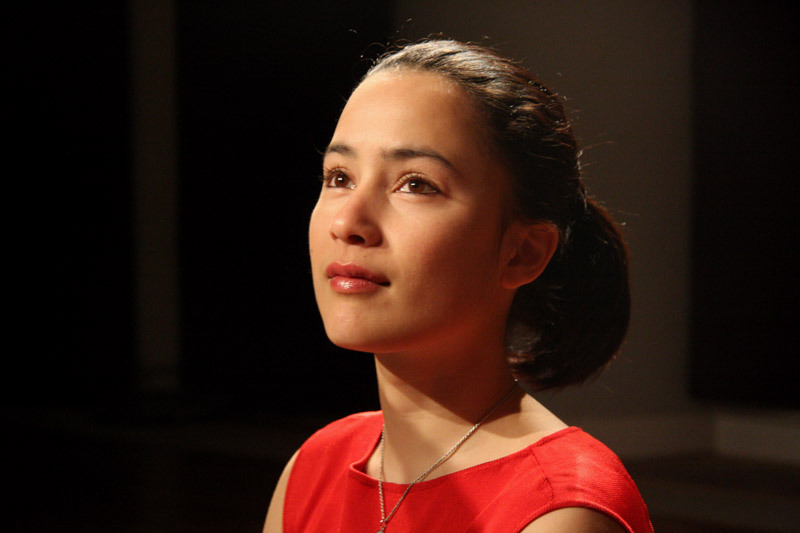 Besides pianist, singer and songwriter, Lydie Solomon is also an actress, playing the role of pianist in the film Vivre! (2009) of Yvon Marciano (2009). The concert offered in Cel:la F. Chopin i G. Sand is a tribute to the Polish composer and pianist Julian Fontana, a good friend of Chopin and his musical executor. She will perform works by both composers and by Cuban composers of the nineteenth century, who knew Chopin through Fontana, who lived in Havana between 1844 and 1845.